Nature holds mysteries that are sometimes beyond the comprehension of us mere mortals. 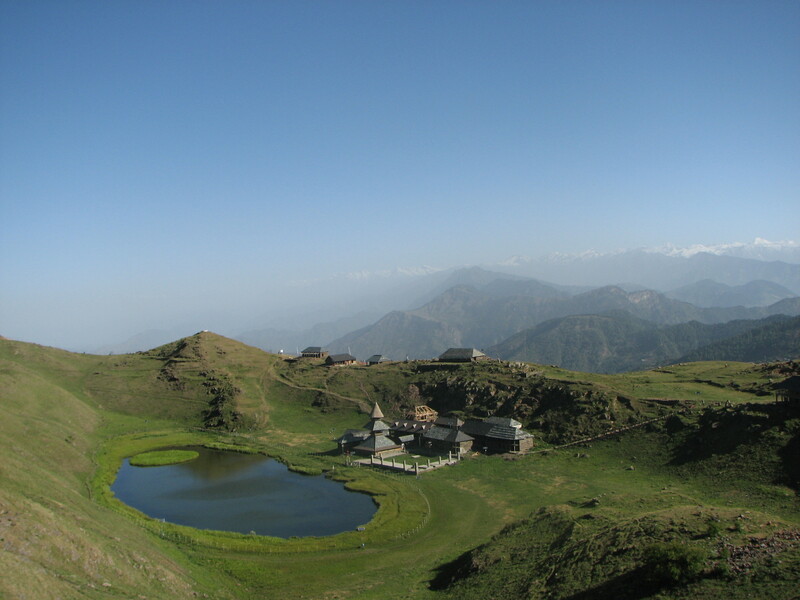 The floating island on Prashar (also Parashar) Lake in Himachal Pradesh is one such instance. Snuggled against the foothills of the mighty Himalayas amongst huge imposing mountains, the sight of Prashar Lake is as dramatic as it can get! The oval-shaped water body has many tales associated with it. One of the legends says that after the battle of Kurukshetra, the Pandavas were returning with Lord Kamrunag. When they reached the mountains, Kamrunag loved the tranquility of the mountains and wanted to settle down there. So Bheem (the strongest of the Pandavas) rammed his elbow on the ground and formed this crater, which later became the lake. Another origin story rooted in Himachali folklore claims that the lake was the site of Rishi Parashar’s meditations and soon became synonymous with him. Prashar Lake sits at a height of 9000 feet above sea level on the backdrop of the Dauladhar Ranges. Covering a circumference of 1.5 Km, the lake is fed by glacial and rain waters. The most fascinating part of the lake, however, is the floating island at its centre. The island is made of regular landmass and covers 29% of the area while the water content is about 71%. Coincidentally, that is exactly the proportion of land and water on the planet, which also led to the speculation that this is some mythical, microcosmic representation of the Earth. There is no recorded depth of the lake because local beliefs prevent people from plumbing its depths, so no one really knows how deep the water is. Adding to this mystery, the island floats across the lake and changes its position around the year- the reason for which remains unknown. If you are intrigued by the mystique of this Himayalan beauty, you can head out for a trek and explore its enchanting surrounding. To get to the lake, you need to reach Baggi village in Mandi district. The nearest town is Mandi, at about 50 Km from the lake area. If you are flying to Bhuntar airport in Kullu, then you can take a bus directly to Mandi. 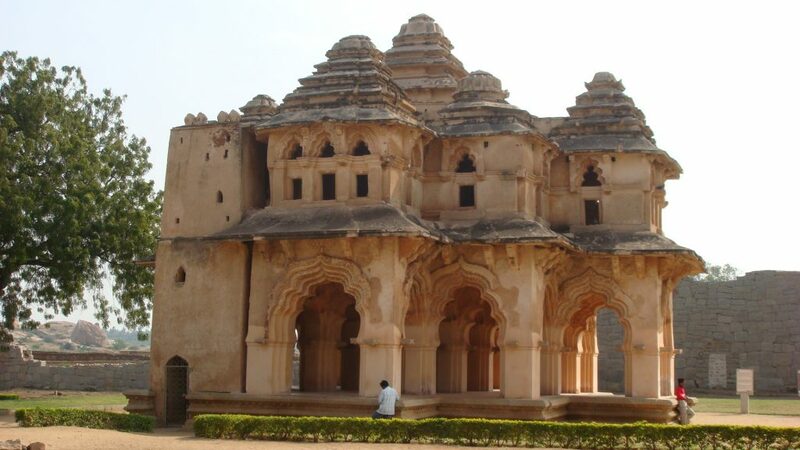 But the most convenient way to travel is to hire a taxi service in Chandigarh and get to Baggi. Once you reach Baggi, there are two ways of heading to Prashar Lake. You can either do a 10 Km trek, which is moderately difficult but comfortable enough for both pro and amateur trekkers, or alternatively, you could drive down the narrow, winding roads- but this, only in the dry seasons. The best time to explore Prashar Lake and its surroundings is any time between March and November since the winter months wrap the area in a blanket of snow. The lake is flanked by an ancient temple, resting areas for tourists, and camping grounds. The three-storied, pagoda-shaped temple is said to have been built in the 13th century under the patronage of Ban Sen- the king of Mandi. 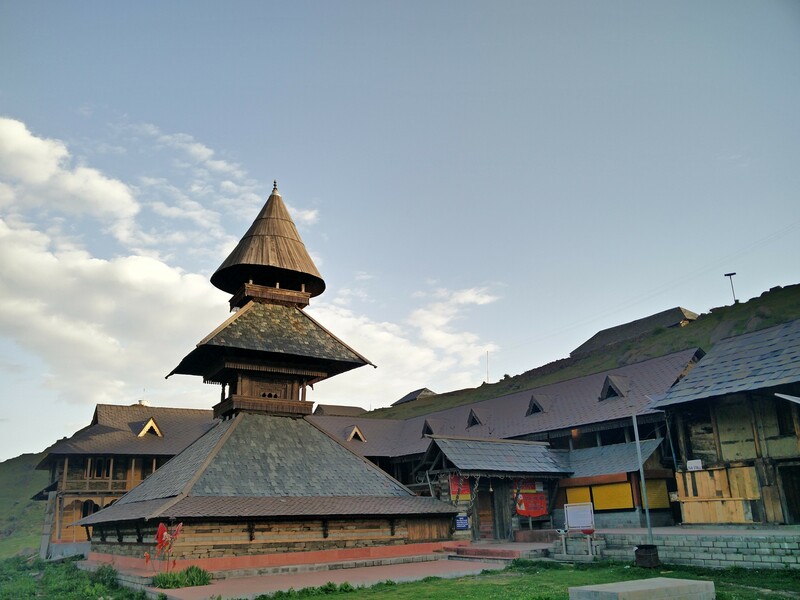 Local stories say that the temple structure was shaped with a single Deodar tree and the façade as well as interiors boast intricate wood carvings of animals and serpents. The temple is dedicated to Rishi Prashar and invites pilgrims from all over, especially during the annual festival held in June. 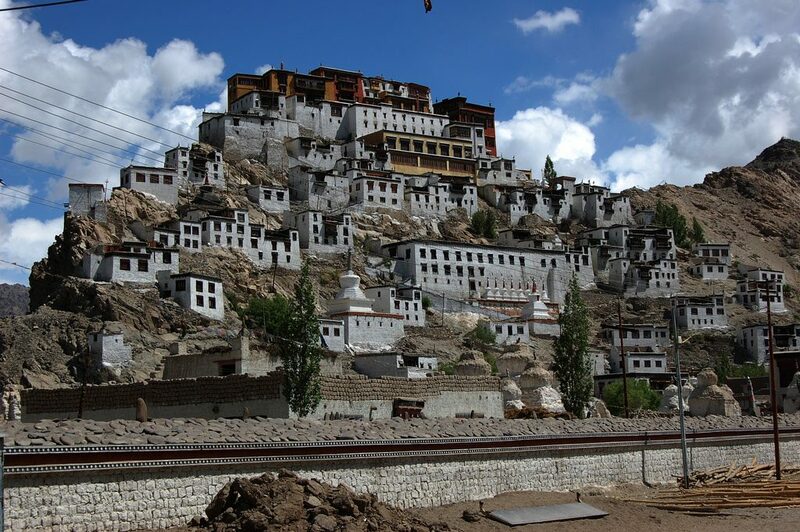 Besides its historic significance, the mesmerizing temple and its surrounding landscape is a treat for sore eyes. You can explore on foot or drive down the mountain roads to get a 180-degree view of Dhauladhar, Pir Pinjal, and Kinnaur mountain ranges. The panoramic view of snow-capped peaks, lush greenery of the valleys, and the deep blue waters of the lake make for a rejuvenating as well as memorable holiday. Travelers can also download Savaari’s app and make an instant booking to get to this gorgeous destination. The floating island on Prashar (also Parashar) Lake in Himachal Pradesh is an unsolved mystery. Snuggled against the foothills of the mighty Himalayas amongst huge imposing mountains, the sight of Prashar Lake is as dramatic as it can get!